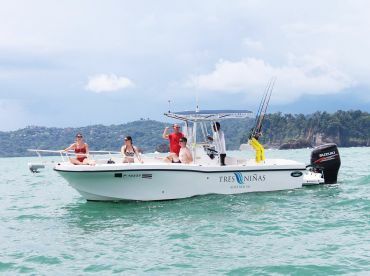 Quepos inshore fishing is endlessly enjoyable no matter how accomplished an angler you are. 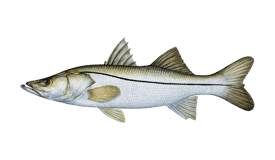 The area’s shallow bays and river mouths regularly produce record-worthy catches of Roosterfish, not to mention the current all-tackle record for Snook. 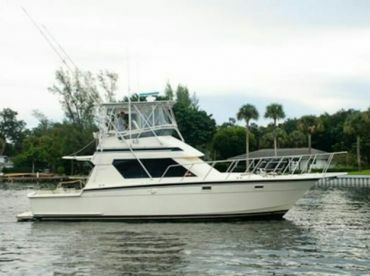 Inshore charters offer more than just great fishing, though. The waters are warm and clear and perfect for snorkeling, making this a dream spot for a family day out. 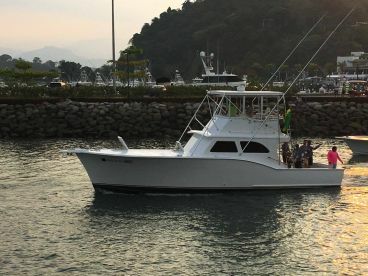 The main target of most half day trips out of Quepos will be Roosterfish. 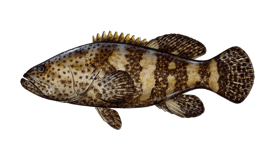 This hard-fighting and exotic fish is a really big deal here and with good reason. 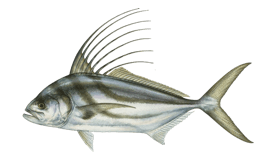 Some of the biggest Roosterfish in the world can be found in the river mouths nearby. There is no shortage of small rivers, either, which makes hooking one of these guys even more achievable. 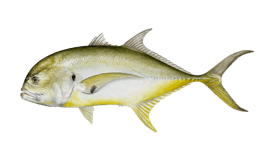 The other main species you will be targeting are Jacks and Snook. These are both hard fighters, although missing some of the flair which makes Roosterfish so popular. 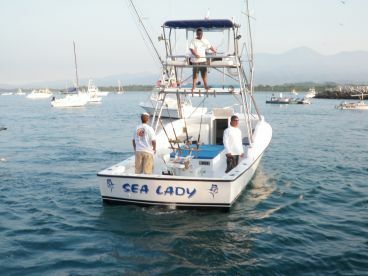 All three species like to hang out in similar conditions, so even a full day charter will give you plenty of action. 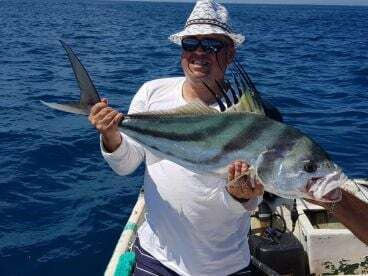 The advantage of booking in for a full day is you can spend the morning feisty game fish, then head to one of the many local reefs and rocky outcrops to fish for Cubera Snapper and Triggerfish. These are excellent table fare and will make for the perfect end to a long, hard day on the water. 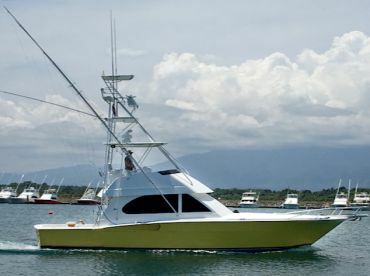 Let’s not beat around the bush: charters in Quepos aren’t cheap. A half day on a decent center console will start at around $500, with full days costing at least half as much again. 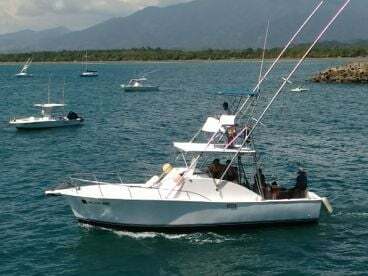 If you want something a bit more comfortable, you can charter a flybridge boat in the 30’ range for around $750 for a half day, and &1200 for a full day.